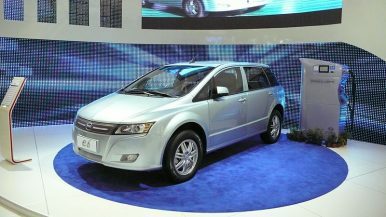 Last year, The Diplomat wrote that “China has rapidly emerged at the forefront of the new energy vehicles (NEV) market.” The Chinese government launched the NEV industry through a number of carrots and sticks, mainly subsidies for both producers and buyers and restrictions on combustion engine cars. Now, however, the Chinese government has slashed its NEV subsidies by 67 percent and is pressuring local governments to do the same. At the same time, the government has opened the doors to more foreign automotive businesses to produce cars domestically in China. The question now for the industry and investors is: did the government cut subsidies because it believes the industry can compete on its own, or did it do so to cut its losses? The new energy vehicle market in China has, in less than 10 years, become the largest in the world. In the first two months of 2019, China sold 148,000 NEVs, a 99 percent increase from the same period in the previous year. This is against the wider automobile industry, which saw its eighth-straight month of contraction in February. This rapid growth owes itself to the subsidies and restrictions put in place from the Chinese government. Between 2009 and 2017, national and local governments gave out $60 billion to consumers and producers that, in some cases, made NEVs cheaper than combustion engine cars. At the same time, cities like Beijing implemented rules that restricted the number of combustion engine cars that could be bought every year. With subsidies and incentives like this, Chinese cities made important strides, such as Shenzhen’s bus fleet becoming the world’s first all-electric fleet. New energy vehicles are a key component of the “Made in China 2025” (MiC 2025) industrial plan, as well as China’s efforts to reduce carbon emissions. Yet while the 1.26 million new NEVs sold in 2018 is impressive, and far larger than the United States’ 361,000 in 2018, MiC 2025 calls for 3 million to be sold every year. Launching the NEV industry would also give China’s wider economy a larger incentive to develop lithium ion batteries, another key component of MiC 2025. The private sector and government have poured billions into the technology, and now China claims over 50 percent of the world’s production of the four component parts of a “li-ion” battery. But now, the subsidies that drove the growth of the Chinese NEV industry have been cut back. Previously, China separated NEVs into five categories, based on how far they could drive on a single charge. With the subsidy slash, the bottom two categories, covering ranges from 150 km to 250 km no longer receive subsidies. Meanwhile the remaining three, covering ranges from 250 km to more than 400 km have seen their subsidies halved. Though the market was expecting cuts, the draw-down of subsidies was larger than what the NEV industry was expecting. Now comes the question of whether or not the Chinese new energy vehicle market can buck the wider Chinese auto-industry trends. For the first time in two decades, the Chinese auto industry contracted in 2018: sales fell 3 percent. Analysts expect that the market will continue to contract in 2019. A larger-than-expected revocation of subsidies combined with a gloomy overall auto market presents significant headwinds for Chinese NEVs for the rest of 2019. There are, however, good signs for the industry. While the wider auto market saw sales fall in 2018, sales of NEVs grew 61.7 percent. Further, local markets, such as Beijing, will continue to place restrictions on combustion engine vehicles. Beijing runs a lottery to allot new license plates for such vehicles; getting a combustion car through the lottery takes years. Implementation of these restrictions has driven NEV sales in China: “the six Chinese cities that implemented gasoline-car restrictions accounted for 40 percent of the nation’s electric-car sales,” according to Skift. Finally, the National Development and Reform Commission in January issued guidelines effectively banning companies from opening automobile factories that only produce combustion engine vehicles. Of course, these good signs will not be enough to save every NEV company in China, but that may be the point. Much like it did last year with the pharmaceutical industry, the Chinese government may well be pushing the smaller auto companies to the brink in the hopes that they will be bought by the larger, more profitable companies. Doing so would increase those companies’ market share and profitability, giving them the opportunity to further compete on a global scale, another Made in China 2025 goal. So while it seems that one MiC goal is being pushed aside, it may well be in service of another. Zachary Torrey is a research analyst at the RANE Network.